Gurratan Singh: I would describe my style as a blend of modernity and tradition. I honour my roots by celebrating my distinct identity, but also keep it modern with my tailored suits and clothing. TorontoVerve: Is there anyone in particular who inspires your style? GS: Aside from my brother, it would have to be model/actor Waris Ahluwalia, most famous for his recent Gap ads. 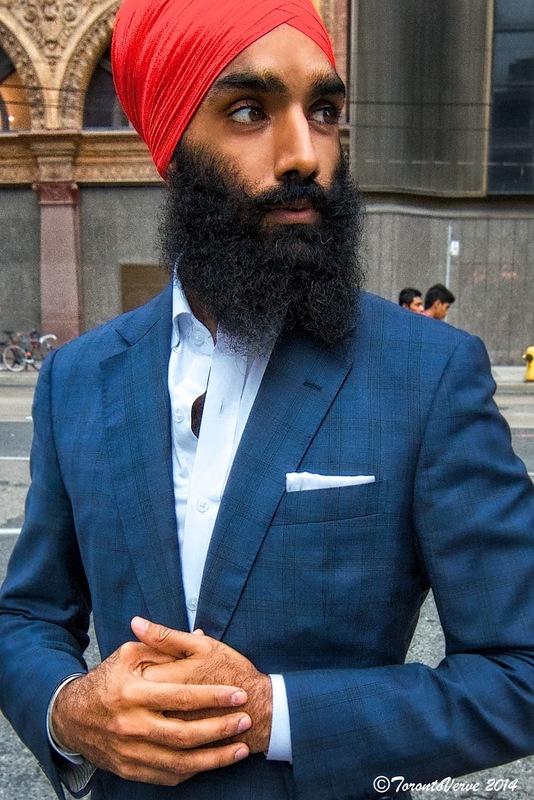 For all Sikh men, he's an amazing style icon. TV: How does fashion play in your law profession? GS: Fashion plays into law in a very direct way. I’m a Lawyer, so my style reflects the confidence, strength and professionalism I present in the courtroom. TV: Where do you have your clothes tailored? GS: I get my clothes tailored from everywhere, but the bulk of it is from Delhi and Punjab tailors. TV: What is your proudest moment in life? GS: It wouldn’t be one exact moment. The proudest feeling I have is when I can connect with a community and push forward an agenda that creates positive change. I've done a lot of work that involves youth in the community and some of my proudest moments are when I see them become self-empowered to become agents of change. TV: You're planning on running for Regional Councillor for Ward 9 and 10 in Brampton. What has inspired you to run? GS: Brampton is an amazing community, full of people from all over the world. But Brampton isn’t getting the representation it deserves. Our current council doesn’t represent the community, has serious issues of accountability and transparency, and is not working to create a livable city. Brampton needs a fresh start, I want to work towards building a better community where people come to live, work and play. 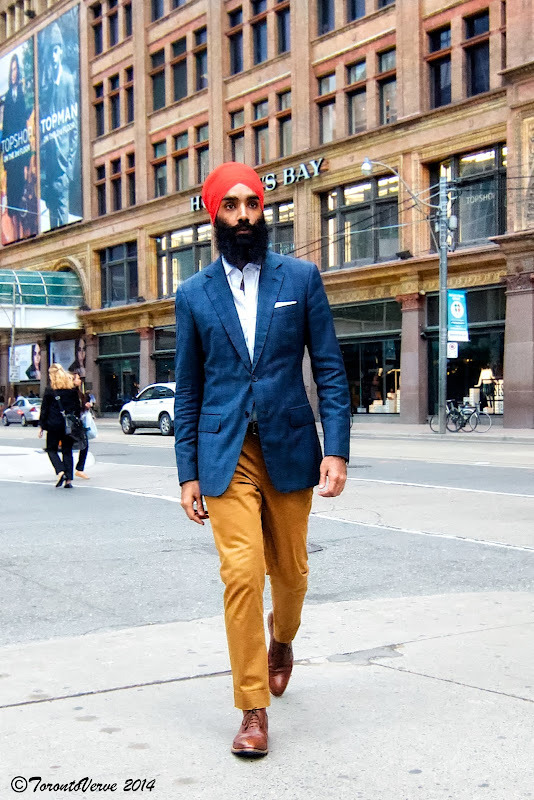 TV: Has your brother (NDP MPP Jagmeet Singh) given you any advice on your campaign? GS: My brother is one of my main sources of guidance and encouragement. He's often said when you're in a role of service that's when you can see what you're really capable of. There's a quote from Booker T. Washington, "If you want to lift yourself up, lift up someone else." I very much believe that. By working to help create a better community, and creating a campaign where we work to empower young people, I've experienced a lot of personal growth, its a beautify thing. Gurratan Singh has previously appeared on TorontoVerve with his brother Jagmeet and in our recent TIFF tribute. Follow Gurratan on Twitter, Instagram and Tumblr.